Carmen Beuchat´s biography written by Michael Moneagle in the 1990s. It mentions her work as a dancer, choreographer and teacher, the different places and people with whom she worked. 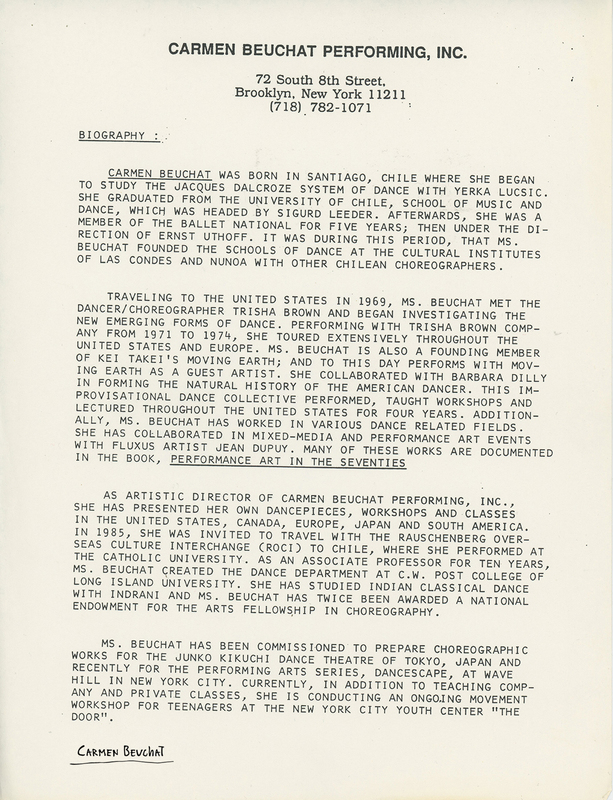 There is a brief explanation of the work with The Natural History of the American Dancer.